Please note that our company manufacturers all kinds of suspension and wheel bolts and nuts for the automotive industry and have been serving various countries since past 3 decades. Under the expert guidance of our ingenious professionals, we are manufacturing, trading and supplying an all-encompassing gamut of Wheel Bolts and Nuts. 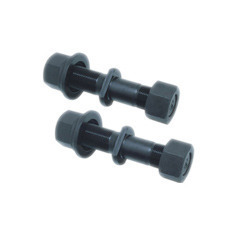 Our offered bolts & nuts are used to connect two objects in heavy moving vehicles and light moving vehicles. We offer these bolts & nuts in various sizes & other related specifications. Moreover, our offered bolts & nuts are checked before dispatching to customers so as to assure its flawlessness. By keeping the track of latest market trend, we are highly efficient in manufacturing, trading and supplying an exclusive spectrum of Bolts and Nuts. These bolts & nuts are used in several industries like automobile, electrical & engineering industries. Offered bolts & nuts are provided in numerous specifications as per the requirements of our clients. 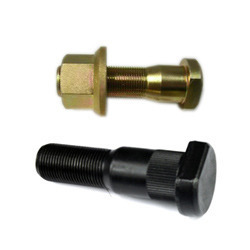 The bolts & nuts offered by us can be availed at affordable prices. Our team of skilled and trained professionals has enabled us to manufacture, trade, export and supply Bolts And Nuts. 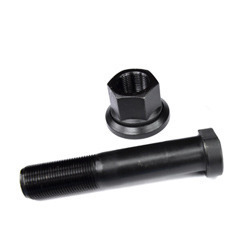 These nut and bolts are extensively used in several garage and industrial applications. In adherence to set international standards, our offered nut and bolt are manufactured by our dexterous professionals using top quality raw material and innovative technology. Additionally, we check these nut and bolt on different parameters to ensure their excellent quality. These are offered to our clients at most affordable prices. We are exporting in Iran. Our years of market knowledge and experience have enabled us to establish ourselves as a famous manufacturer, trader, exporter and supplier of quality approved Wheel Nut and Bolt. Our offered nut and bolt are mainly used for fixing two surfaces and objects with each other. Due to its high quality, accurate dimensions and rust resistance, our collection of nut and bolt have carved a position in the market. These nut and bolt are available in a choice of dimensions and shapes to suit the various requirements of the clients. We are exporting in Africa.